The Library Research Service’s latest Fast Facts report summarizes the results of our yearly investigation into the materials that are challenged in public libraries across Colorado. The report details the format, intended audience, reasons, and resolutions of challenges that were reported in the 2015 Public Library Annual Report. 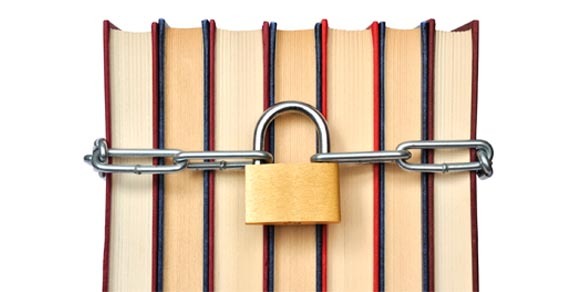 The information provided about these challenges help us to determine the attitude towards intellectual freedom in Colorado public libraries each year and to track changes over time. In 2015, the number of challenges remained relatively consistent with what was reported in 2013 and 2014 – hovering just under 30 challenges across the three-year period. Adults remained the most common audience for challenged materials, with 7 out of 10 (70%) challenges in 2015. However, challenges for children’s materials rose to just under a quarter (24%) of all challenges, up from 12% in 2014, and challenges for young adult material rose to about 1 out of every 5 (17%) challenges. As in 2014, the most common way to handle a challenge was to make no change at all, although there was an increase in librarians finding creative solutions to deal with complaints (“other” solutions were found for 10% of challenges). While “sexually explicit” remained the top reason for challenging an item, representing just over a quarter (26%) of all challenges, “violence” dropped from the second most frequent reason, with “unsuited to age group” and “other” rising to take its place. The formats of materials challenged varied greatly in 2015 compared to previous years. Like last year, videos and books were the items challenged most, together comprising 80% of all challenges. However, there were no computer challenges in 2015, although that format made up about a third (32%) of all challenges the previous year. Formats that were challenged in 2015, but not in 2014, include periodicals, activities, and others (such as audiobooks and music). We can’t be sure about the reason for increasing challenges of various formats, but it may correspond with the expansion of the types of materials and programs offered by public libraries. 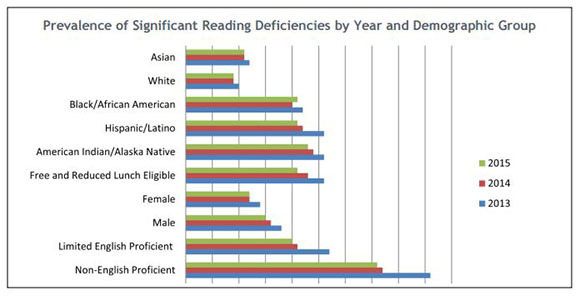 For more breakdowns of this data, check out the full 2015 Challenged Materials in Colorado Public Libraries Fast Facts report. Somewhat surprisingly, physical locations are still more important to Americans than digital technologies for seeking knowledge. At 81%, personal learners are 29% more likely to say that they learn at a physical location more than online. Professional learners prefer physical environments by a similar margin as well. 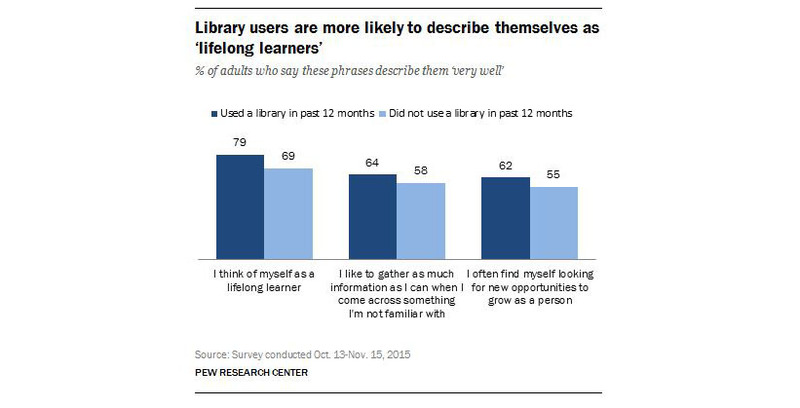 The U.S. adults surveyed by Pew cited many important impacts that lifelong learning has had. The biggest impact experienced by personal learners was helping them to feel more capable and well rounded, with almost a whopping 9 out of 10 (87%) indicating this impact. For professional learners, two-thirds (65%) said that professional learning expanded their professional network. What is perhaps one of the most important findings of the study is that whether or not one identifies as a lifelong learner is greatly influenced by education, income, and access to digital technologies. 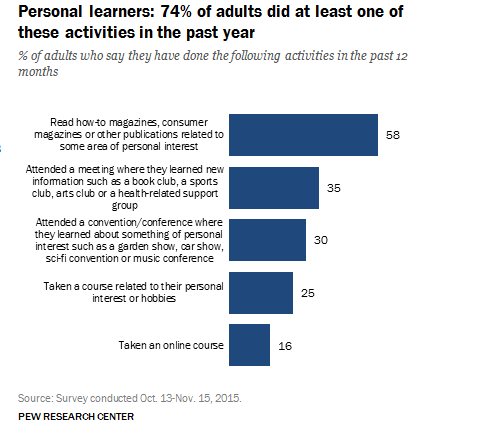 For example, an overwhelming majority (87%) of those with at least one college degree participated in personal learning activities in the past 12 months, whereas only 60% of those with a high school degree or less did the same. 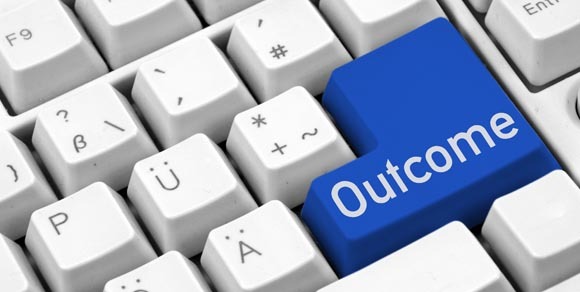 Pew found similar results based on income as well as having smartphones and home broadband connection. With this in mind, libraries are essential points of contact in the quest to bridge the digital divide and provide access to diverse learning opportunities for all members of a community. RIPL receives an IMLS Laura Bush 21st Century Librarians Program Grant! We are excited to announce that in partnership with the Colorado Library Consortium, we have received an IMLS Laura Bush 21st Century Librarians Program Grant to fund our project “RIPL: The Second Wave.” During this three-year project, we will offer the Research Institute for Public Libraries (RIPL) in Atlanta, Georgia; local/regional events in New York, Maine, Texas, and California; and one-day preconferences with the Association for Rural and Small Libraries and PLA Project Outcome. Part of the funds will be used to provide scholarships for librarians working in small and rural libraries to attend the events. In addition, we will create an online community of practice to extend the learning opportunities for RIPL alumni and anyone else interested in public library data and evaluation. You can view the official announcement here. According to Library Journal’s latest budget survey, U.S. public libraries continue to recover from the recession, but the pace of that that recovery may be slowing somewhat. Of the 371 libraries that responded to the survey, nearly three-quarters (74%) reported an increase in operating budgets between 2014 and 2015, which is equivalent to the 73% last year who reported the same. Public library fiscal gains and losses were not equal across the board, however. 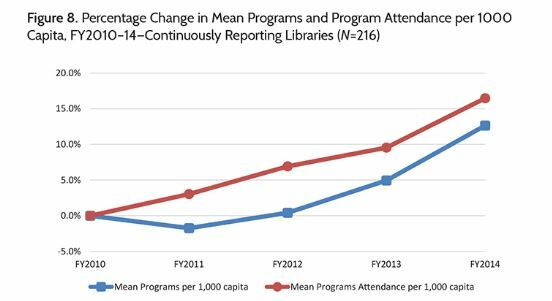 Similar to the findings from last year, larger libraries (with a few exceptions) tended to see larger increases in their operating, materials, and staffing budgets. Overall, materials budgets saw a 3.7% increase and salary budgets rose 4%. The smallest libraries saw the most meager growth in their funding, a factor that has prevented many libraries serving small towns and rural areas from investing in new technology, providing new programs, or increasing their staff size. Large libraries, or those that serve more than one million people, have seen the biggest gains since the recession. The materials budgets of large libraries grew more than four times (6.3%) that of the smallest libraries (1.2%) in the past year, and the largest libraries were able to increase the amount of hours they were open. In addition to this, it appears the largest libraries have been able to expand at a much higher rate. While three-quarters of the smallest libraries reported no change in their staffing numbers in the past year, nearly four-fifths (79%) of libraries serving more than one million increased full time equivalent positions by an average of 31 people per system. This looks pretty promising for the largest libraries (especially those in urban, Southern centers according to the survey), but the benefits of library services continue to be skewed to a particular segment of the population. For those in small towns and rural areas, a shortage of funding can mean that libraries must make difficult decisions, especially regarding technology and outreach, which may leave the populations they serve further behind.